The birds found at Hotel Villa Lapas, Carrara National Park, on the Jungle Crocodile Tour on the Tarcoles River and in the surrounding area. Gallery: Denny Granstrand's Digiscoped Photos Album: Birds, and other animals, of Costa Rica Album: The birds found at Hotel Villa Lapas, Carrara National Park, on the Jungle Crocodile Tour on the Tarcoles River and in the surrounding area. 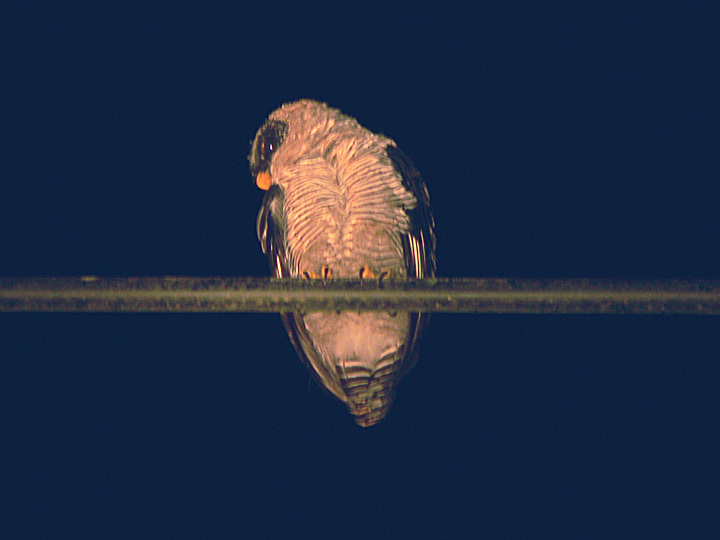 Black and White Owl perched on a power wire near the town of Tarcoles. It looks a little oddly colored because the photo was taken with no flash and just the light from the flashlight.